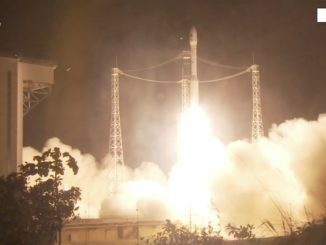 A Vega rocket fired into orbit Thursday night from French Guiana with Italy’s PRISMA hyperspectral Earth-imaging satellite, commencing a busy period for the Vega launcher program as engineers prepare for the debut of the more powerful Vega-C booster in early 2020 and study a lighter variant to better compete in the growing smallsat launch market. 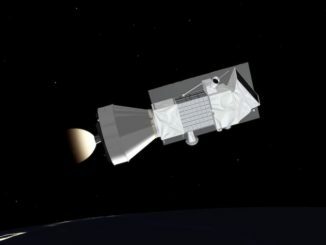 The Italian PRISMA Earth observation satellite is set to ride a Vega launcher into a 382-mile-high (615-kilometer) orbit Thursday night from French Guiana on a mission that will take less than one hour from liftoff until spacecraft separation. 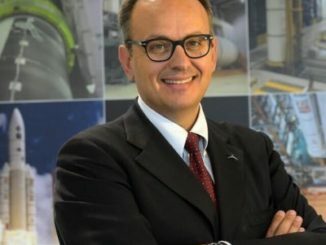 Giulio Ranzo is the chief executive of Avio, the Italian company responsible for building the Vega rocket. Ranzo recently spoke with Spaceflight Now about the Vega rocket’s increasing launch rate, the debut of the new Vega C booster in 2020, and future plans to evolve the Vega design to compete with commercial microsatellite launchers. 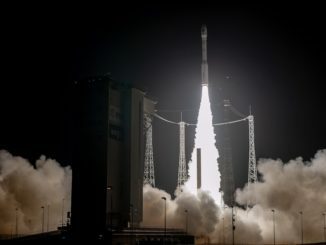 The first of up to four Vega rocket launches planned this year lifted off Thursday night from French Guiana carrying the Italian PRISMA hyperspectral Earth-imaging satellite. The solid-fueled launcher blasted off from the Guiana Space Center at 0150:35 GMT (9:50:35 p.m. EDT).